Welcome to the eighth annual UIST Student Innovation Contest (SIC) taking place in Tokyo! Summary The next quantum leap in human-computer interfaces is making the feeling the virtual world. In this contest you will use a simple, yet powerful technology borrowed from rehabilitation medicine, to make this possible: Electrical Muscle Stimulation. 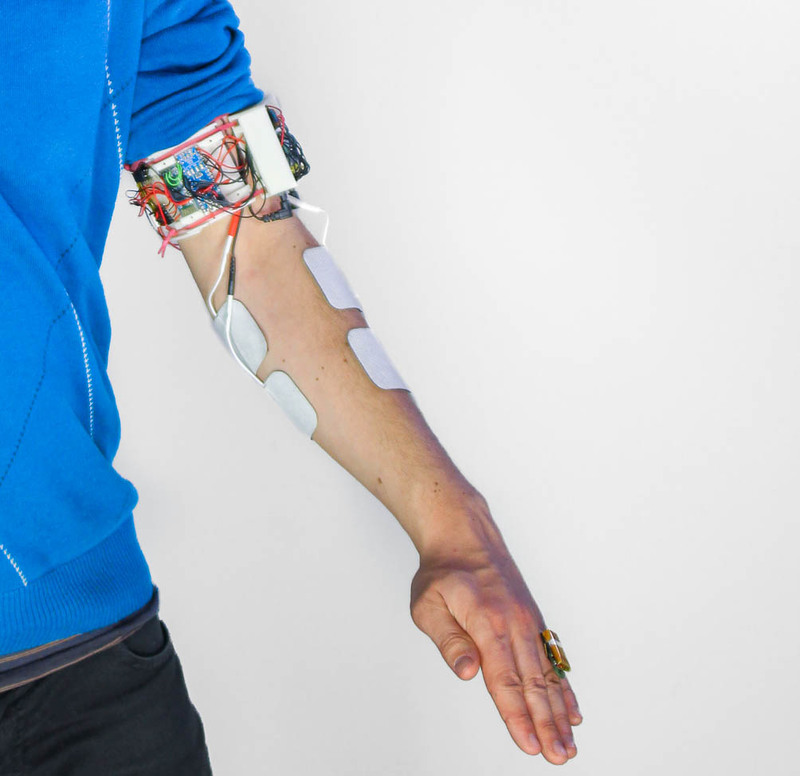 Using EMS you can create strong physical sensations such as forces with wearable hardware. Join the UIST SIC and be one of the first to develop new exciting haptic sensations for applications such as virtual and augmented reality! Win fabulous prizes! Sign up at http://tinyurl.com/uistsic2016 by August 1st of 2016. 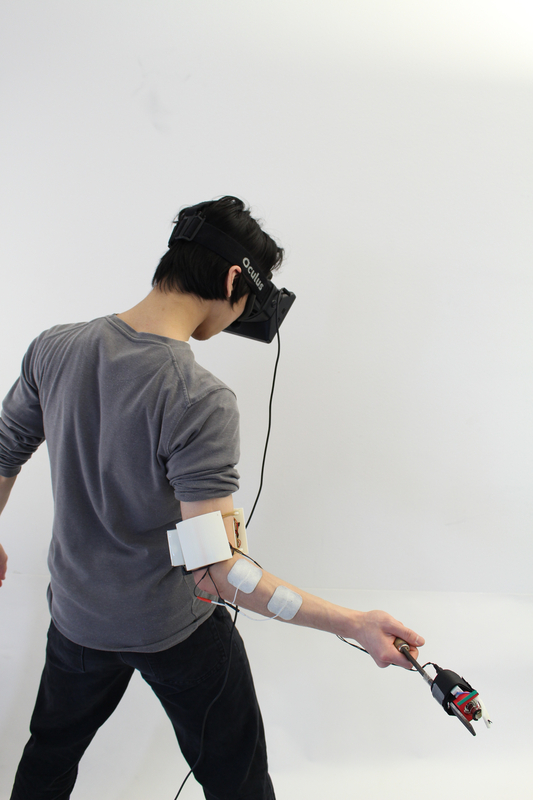 In the UIST Student Innovation Contest student teams create intriguing novel interfaces using exciting hardware kits that we provide, this year it is: Electrical Muscle Stimulation (EMS). It’s your opportunity to shine and impress the world with your innovations! Contestants will demo their creations during the demo reception at the conference in Tokyo Japan; and the winners will be announced at the UIST banquet. A jury of UIST celebrities will select two winners in the Most Creative Interface and Best Implementation categories. On top of that, conference attendees will get a chance to vote for their favorite teams in the People's Choice category. 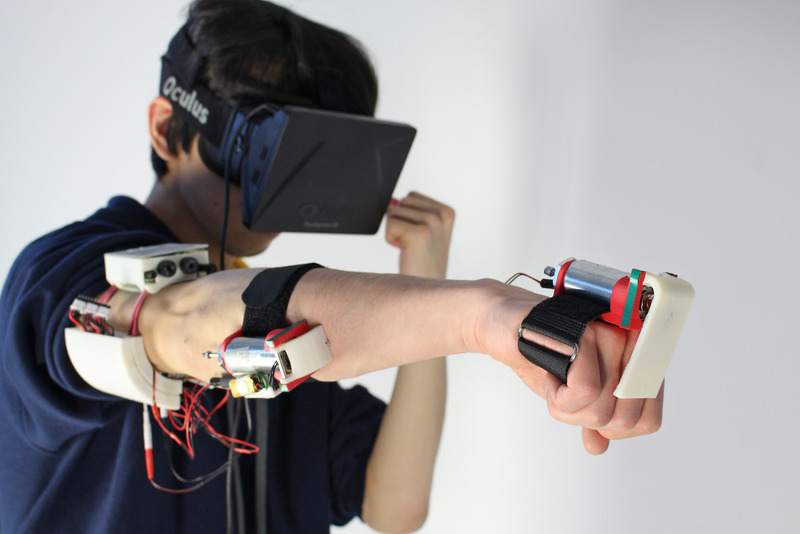 For 2016, the UIST Student Innovation Contest takes on a very timely subject which is the next frontier in virtual and augmented reality: feeling the virtual (haptics)! You will help create a world in which virtual interfaces are no longer just wireframes without mass... you can use electrical muscle stimulation to create physical forces from the virtual world and... you can even make it mobile/wearable so that these interfaces are with us everywhere! Each team will receive a kit of parts including an arduino nano, the medically-safe muscle stimulator, electrodes and our usb/bluetooth control board. Using these parts, teams will be able to build virtual experiences, devices, interfaces that demonstrate how to make the virtual physical. We will also be providing you with simple examples on how to get started using Arduino, Unity3D and Processing. All teams are encouraged to open source their efforts, and even build on each other’s work. To get you started easily, we will provide you, besides all the hardware, video tutorials and coaching sessions so you know how to setup everything and debug any questions you might have! The simplest demo you can build is one that renders a virtual event into a physical event, for instance a mobile phone game in which you actually steer an airplane against the wind (spoiler alert: we've done this one, check out the video here). Because using EMS makes interfaces more physical, when the wind comes one of the player's wrists contracts (using the muscle stimulation) and turns the airplane into an undesired direction, thus the player must turn against the force-feedback and steer the airplane into safety! What other futuristic mobile apps can you make that use EMS? A more compelling demo that you can build takes place in Virtual Reality, what could you improve in the experience of virtual reality if the user could feel forces? Check this video example for inspiration, here you see Virtual Reality sport simulators such as boxing and baseball that actually deliver a force. Here we combined the EMS bracelet with a solenoid... what other novel techniques and devices can you combine EMS with? You can even combine it with everyday items and make them smarter: what if while the user is manipulating an object you could actuate and change the way they physically handle the object? Check this video for inspiration in which we made a spray can shake by itself. What about teaching a new skill using electrical muscle stimulation? Maybe playing a new instrument: get inspired with the amazing Possessed Hand video. Think outside the box and create novel interfaces that take advantage of these physical sensations for augmented or virtual reality or maybe you don't even need screens! The more exciting your demo gets the higher are the chances for the prize committee to be impressed. await notification and further instructions. Your team will be notified of our decision via email. for accepted teams, one of your team members MUST register for the UIST conference and pay the registration fee or inform us that you have been accepted as a student volunteer. once we've confirmed your UIST conference registration, we will ship you the hardware kit and arrange a skype meeting with you to get you started! pre-selection criteria: organizers will select a maximum of 20 teams, judging your demo descriptions and sketches by the following criteria: complexity of idea, time and resources required to build, and creativity of idea. eligibility requirement: you MUST be a student to participate in this contest. Students of all levels (high school, bachelor's, master's, PhD) are encouraged to participate. International students are welcome. registration requirement: you must register for the contest and submit your idea and image link. If your team is accepted, at least one of your team members MUST register for the conference (or be accepted as a student volunteer). This is for three reasons: 1) you have to demo your idea, 2) you have to claim your prizes, and 3) UIST is an awesome conference! demo code: We encourage you to open-source your code. The organizers will create a github organization where all teams will be expected to post their code (don’t worry, we will not judge you on your code!). demo safety: We will provide you guides to follow and a skype meeting to help you get started. It is mandatory to read our guide on EMS and follow always the correct procedure. Please be careful! 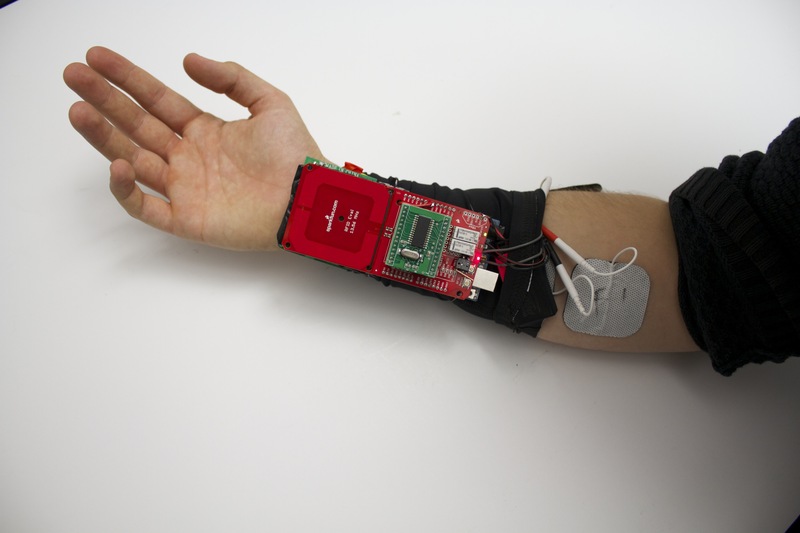 hardware provided: Muscle stimulation device (rehabilitation device), control board, arduino nano, electrodes. hardware modifications: No not modify the control board. Discuss any hardware modification with us first. Also, there is no need to modify the software of the control board, if you need some new feature discuss it with us. additional equipment: teams must bring supporting computers and hardware to run their demos, including the hardware shipped by the contest organizers. No extra equipment will be handed out at UIST. powering your demos at the contest: a Japanese-standard power strip will be provided for each team at their demo table. However, we recommend that you bring your own regional power strip with the appropriate US adapter to connect all your hardware through your own strip with a single adapter. WiFi availability: WiFi in the conference hall will likely be slow, however teams are welcome to use WiFi as a part of their demos. We recommend having a Plan B in case WiFi is too slow in the conference center. questions: if you have any questions about the contest rules, please contact the contest chairs. We reserve the right to change the awards structure based on any factors, including but not limited to the number of teams participating. A: EMS is Electrical Muscle Stimulation. It is a technique from rehabilitation medicine that allows to contract muscles by sending small (mA scale) electrical impulses via electrodes attached to the skin. Q: How do we use EMS on our project? A: We use EMS without needing to tamper or alter any hardware. 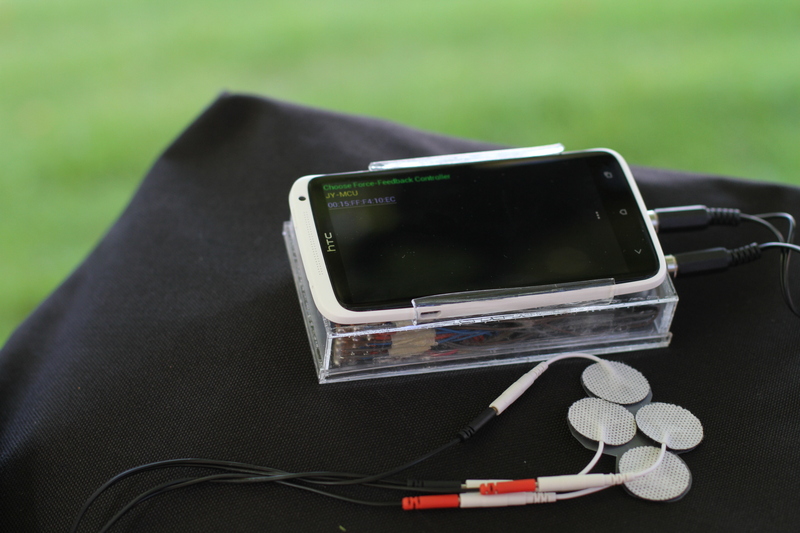 We use a medically compliant electrical muscle stimulator and a control board. The control board is able to attenuate the muscle stimulation signal (i.e., make it smaller). The board is galvanically isolated from the stimulator, i.e., the board's arduino is not on the same circuit of the stimulator. You can control the board by simply sending bluetooth messages, from your phone or laptop. Q: Do I get to keep the hardware after the contest? A: Yes, if you always use it safely as instructed. Q: Are we allowed to develop our demos in programming languages other than the ones used in the provided examples? A: You are welcome to write your own ports for different languages and develop your demos in any language, however we cannot provide any technical support, and we highly recommend using Java/Processing/Python and Arduino as they are easy cross-platform languages. Q: Can we start developing our idea before the hardware arrives? A: Yes! You can start as soon as you’d like. We’ll try to provide the 3D models and control software at the time of team notifications so you can get started. Q: I am not a student, can I still participate? A: Unfortunately, no. The contest is limited to students at all levels (High School, Bachelor's, Master's, and PhD). Q: I'm in high school, can I participate in the contest? A: All students are welcome. However, you will have to be old enough (at least 18 years old) and able to travel to the UIST Conference in Tokyo, Japan. Q: I'm an international student, can I participate in the contest? A: Yes. International students at all levels are encouraged to participate. You are responsible for your own travel, registration and arrangements, but we do have some travel grants to help (see below). Q: Are postdocs eligible to participate in the contest? A: Unfortunately, no. Postdocs are expected to pay the full registration rate at the UIST conference and thus are not considered students. To maintain fairness among all teams, this means they are not eligible to participate. Q: What happens if I wish to withdraw from the contest? A: Teams are welcome to withdraw. Please email the contest chairs at least 2 weeks before the conference. Keep in mind you might be asked to return the hardware provided. If you are seeking conference registration reimbursement, your reimbursement will not be processed until you have returned the hardware kit. Q: How many teams will be selected to participate in the contest? A: Based on space and power limitations at the venue, we will be selecting a maximum of 20 teams. We reserve the right to change this number based on a number of factors (including number of teams registered, ideas submitted, team composition, etc.). Q: Is there a waiting list for team selection? A: If accepted teams decide to withdraw or do not register for the conference within a week of selection notification, additional teams may be invited to participate. We will only contact additional teams if spots opens up. Q: Can one person be a member of multiple teams? A: Unfortunately, no. Please decide to be part of one team for the contest. We also encourage students at the same institution to form full groups of 4 students, instead of smaller teams. A: Yes, definitely. Simply enter the school name of your team captain at the top of the registration form. Then, enter the school names for your other members in the section for each additional member. Q: Can student members be removed or added from teams after the registration deadline? A: Yes, we are allowing for student members to be added or removed up until 2 weeks before the contest. The team captain or student registered for the conference cannot withdraw, otherwise the team will forfeit their participation. Email the contest organizers as soon as possible to make any changes. Q: Can I publish a paper on what I come up with? Q: Do I own the intellectual property (IP)? A: You own the rights to what you develop, however you must open-source it to be eligible for prizes. Q: Will I be able to demo my idea on my own computer? A: Yes. In fact, it is mandatory, since we will not provide any equipment at the conference. Q: Can other people help me develop this code? A: It is permissible to get external help for bugs and other issues. People external to the team cannot contribute large pieces of code (or ideas). Q: Can my adviser help? A: Ideas can be discussed with advisers, but core ideas should come from the team members. Q: Is it possible to receive funding for travel and registration? A: Yes, we will be able to support some of the teams that don't really have any finantial support. But note that our support is limited and until we know where all the teams are coming from and which kinds of support they have by their advisor/school, we can't tell you how much we will support. So despite our travel grants, make sure you talk to your school and Professor/Advisor and arrange some funding ahead (for instance we will not be able to pay registrations, except rare cases, make sure you can fund your registration fee). Q: I will need a visa to attend UIST. Can you provide a visa invitation letter? Q: How will you stop people from voting multiple times for "People's Choice"? A: We encourage you to interact with conference attendees to show off your projects and ask them to vote for you. Student volunteers will be monitoring the voting stations. Q: What if only a few teams enter? A: We reserve the right to change the rules at any time. If a small number of people were to enter, we are likely to modify the award structure. Q: What if something happens the contest chairs did not foresee? A: We reserve the right to change the rules at any time. We will inform all registered contestants of any changes. The Hasso Plattner Institute is funding the hardware for the UIST Student Competition 2016. Thanks to Prof. Patrick Baudisch of the Hasso Plattner Institute for the financial support. 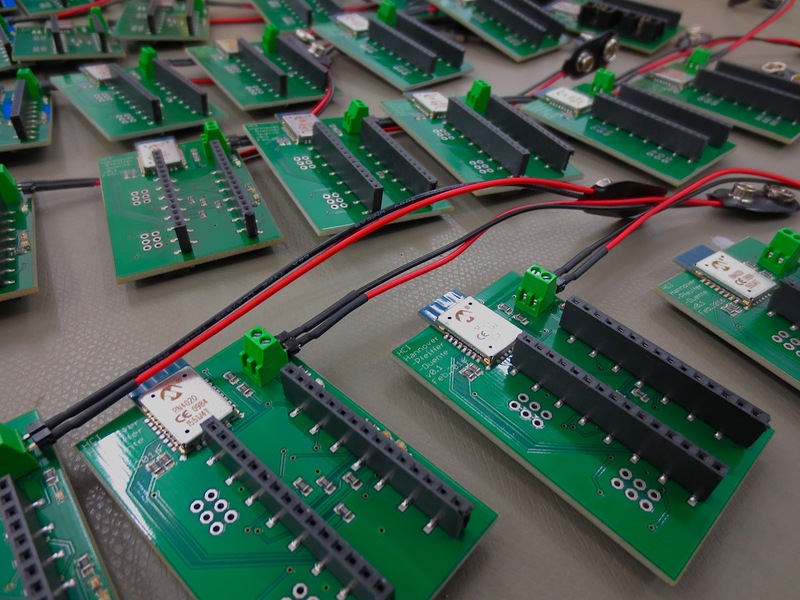 Thanks to the HCI team of University of Hannover for developing the hardware circuit of the EMS control board. Lastly but not least, a word of appreciation to the UIST'16 chairs Prof. Takeo Igarashi and Prof. Jun Rekimoto for supporting the SIC.